Gas is one of the most important fuels in the global heat and energy market. Its importance is unlikely to change over the next few decades due to the relatively large gas reserves. LPG and biogas can be used in addition to natural gas as a fuel for gas heaters. Natural gas is very cost effective compared to other fossil fuels. This is due to the significantly lower capital costs. Plus no costs are incurred for storage. The technology which uses natural gas is also very efficient. You get the most out of the energy, especially with modern condensing boilers. Gas burns cleanly with no soot or ash, and therefore produces lower emissions than oil for example. It is considered the most environmentally friendly fossil fuel. Modern gas-fired condensing boilers from Vaillant are subject to strict safety standards to ensure proper operation. However, you should have your system serviced regularly by an installer to ensure safety and efficiency in the long run. Some of our products remind you of the time for inspection. They inform you of any necessary maintenance or possible sources of error and can even report this by e-mail, fax or SMS to your contractor. Natural gas consists primarily of methane, which is contained in giant bubbles 1000 to 3500 metres below the ground. Pipeline networks often pump the gas several thousand kilometres from the extraction site to customers. Alternatively, it can be shipped as a liquefied gas in tankers. Conventionally extracted natural gas reserves are sufficient for about 63 years according to current predictions. Another 70 years of the fuel could be available by extracting untapped gas resources. Liquid gas is a by-product of oil production and is also known under the abbreviation LPG (Liquefied Petroleum Gas). LPG consists mainly of butane and propane. It is liquefied under high pressure because this significantly reduces its volume, therefore making transportation easier. Transport is carried out by ship and tank lorries. 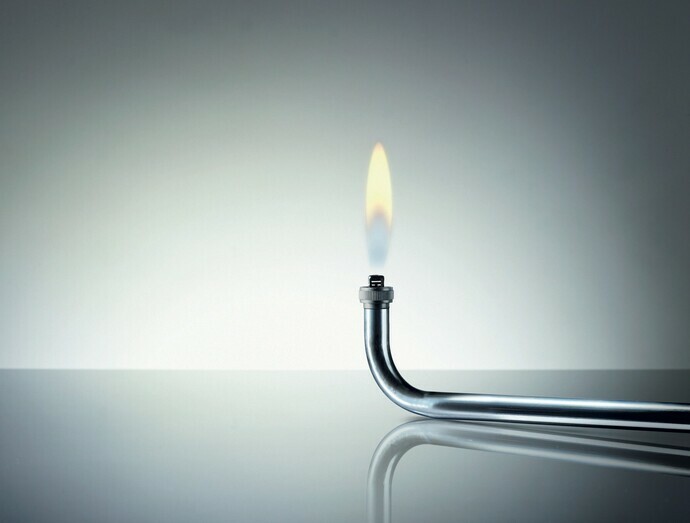 Its great advantage over natural gas is that it can also be used in homes that have no connection to the natural gas grid. Special pressure-resistant tanks are necessary for storing, which are placed in the home or the garden. Biogas is obtained by the processing of biomass such as crop residues or organic waste. Increasingly, plants are being grown specifically for the purpose of energy recovery. A particularly high yield of biogas is achieved for example with maize or sugar beet. In contrast to natural gas, biogas is not a fossil fuel because it can be produced indefinitely. Biogas can be fed into the natural gas grid. However, special attention must be paid to the purity and quality of the gas.